I provide professional, certified and fully insured holistic treatments designed specifically for women, specialising in Fertility & Maternity Reflexology, Hot Stone treatments and now Zone Face Lift with Neals Yard products. 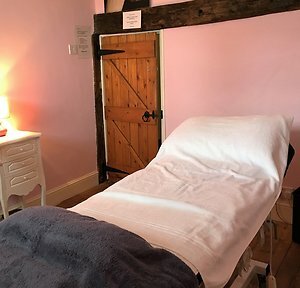 I am based at Grace Medi-Spa on Wednesdays and Thursdays in Clanfield, Waterlooville, in Liss Forest on Mondays, Tuesdays, Thursdays and Fridays and I also offer mobile reflexology in Petersfield and the surrounding areas, (this includes Liss, Liphook, Milland, South Harting, Clanfield and Horndean). I am now offering my amazing new treatment Zone Face Lift. This treatment will be priced at £65.00 but is currently at the special offer price of only £55.00. You will be truly pampered with a Neals Yard Facial, hot towels, full facial reflexology treatment and facial massage, lifting your face as well as your spirit. You are now able to purchase gift vouchers online, perfect for Christmas, Birthdays, and Special Treats. These can be used for Clanfield, Liss and home visits. 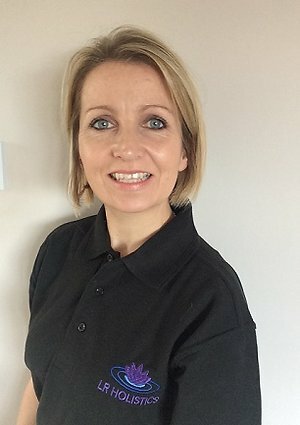 My name is Lorraine Robinson and I am a fully qualified reflexology practitioner, massage therapist and maternity reflexologist based in Hampshire. I live with my partner John and our faithful companion Woody in West Sussex. From a young age I have always had an interest in health and wellbeing, but my discovery of reflexology began with my own struggles with fertility, which led to over 4 years of very challenging times. Having also overcome stress and anxiety with reflexology I have seen first hand the noticeable difference that it has had on my health. So in 2012 after many years of working in office environments, I decided to make that change in my career. I began my training to do what I do today and have enjoyed every minute of it. I concentrated mainly on reflexology because it is a treatment that works to rectify imbalances but also is so lovely to receive! I started working as a reflexologist after I completed my training at an ITEC accredited school in Surrey attaining a Level 3 Diploma in Reflexology and Level 3 Diploma in Massage in 2014. I continued to study advanced techniques with Sally Earlam in London, including fertility and maternity reflexology, hot stone reflexology, and advanced my massage training with hot stone massage and advanced massage at the Helen McGuinness Training Centre in Southampton. I have also now completed my full training at the London School of Reflexology with Ziggie Bergman to be able to provide Zone Face Lift treatments and Facial Reflexology. Please see my "Zone Face Lift" page for more details. I am a full member of the Association of Reflexologists (www.aor.org.uk), and I am also registered with NHS Choices. Studies have proven that stress wreaks havoc on the mind and body leading to illness and disease. Reflexology and massage are relaxing and rebalancing therapies that can assist your body by restoring physical harmony. So whether you are looking for help with fertility, support with the changes during pregnancy, a natural way of taking charge of your health and wellbeing, or just some time out to totally relax and reduce stress levels, then please contact me to see how I can help you. 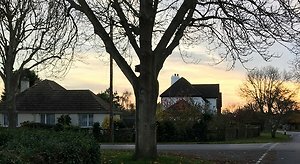 See either LR Holistics in Clanfield or LR Holistics in Liss page for more information of what's available, prices and opening hours at each location. 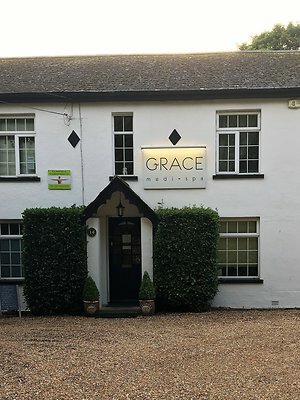 Grace medi-spa is a collection of individual businesses offering treatments of the highest professional standard, and an approved provider clinic to Spire Portsmouth Hospital. There is normally off road parking available on the driveway, or you can usually park opposite on the road in front of the town houses. As a mobile reflexologist I cover areas around Petersfield, Liss, and surrounding villages. For mobile reflexology treatments please confirm your address and any parking instructions if I have not been to you before. Online booking not available for home visits, so please email or call for appointments. Please note there is also an additional £5 charge for this service. Online Booking available for treatments at Grace Medi Spa in Clanfield or treatments in Liss Forest CLICK HERE and this will take you to my online booking page, please take care to book the correct location. Appointments can also be made anytime by calling 07766 828604. If I am not available please leave a message and I will call you back as soon as I can. Alternatively you can email me. I pick up emails regularly throughout the day, and will get back to you as soon as I am free. If you have any questions please contact me to discuss how I may be able to help you.